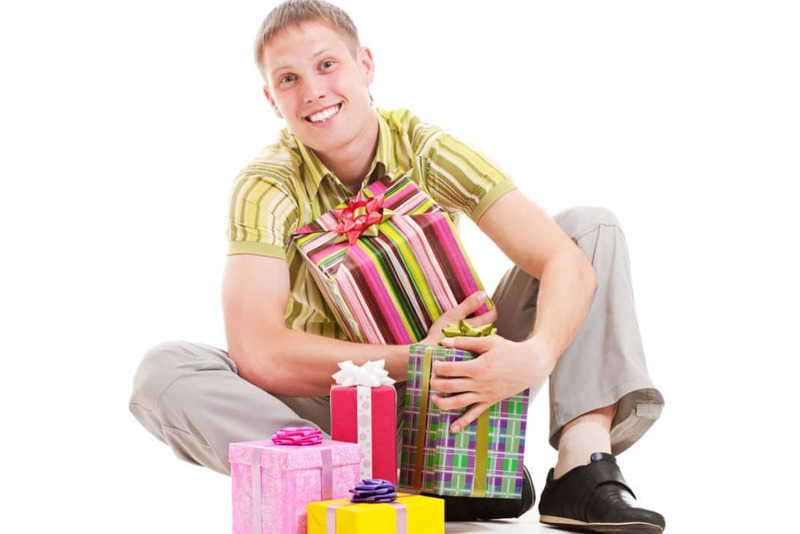 Guys get a bad rap when it comes to gifts. Many women think that they have to overspend on expensive holiday gifts for men like gadgets and power tools, but that’s not necessarily true. We’re simple people. We don’t always need the latest home theater system, iPad, or a table saw to be happy on Christmas Day. Granted, my Amazon wish list has a bunch of expensive stuff on it; but that’s why they call it a “wish list.” It also has a bunch of cool inexpensive items on it that a lot of other guys would probably like, too. Here’s are 7 best-value gifts on my Amazon wish list to help you ladies save money on holiday gift giving. These goodies won’t break the bank and will put a smile on their faces this holiday season. Apple TV is now $99, and you won’t even notice it in your entertainment system or sitting next to your TV. It fits in the palm of your hand, allows you to rent movies and TV shows at your leisure, and also allows you to stream iTunes music and movies from your computer to your TV. If you’re not a big TV watcher, you can save money with Apple TV by canceling your cable subscription and only downloading movies and TV shows you want to watch. Toss out your hubby’s old, lame Mach 3, and get him this sweet razor for just $39. Your man will get the smoothest, closest shave that he’s ever had, and its retro-cool design will make him feel like Don Draper from Mad Men when he’s using it. I carry a laptop to work every day, and I also carry home notes every now and then. Right now, I’m rocking an old, ugly Targus laptop bag, which gets the job done, but isn’t very stylish. If your man has the need for one of these, it’s under $100, and looks great. Right now, you can pick up this leather bag on Amazon for just $82. If your husband or boyfriend is always asking you to hold a flashlight for him while he works on DIY home repairs and home improvement projects, then he definitely needs this headlamp with an ultra-bright LED bulb. This particular headlamp has great reviews on Amazon and it’s under $50. There are many different styles of Moleskine notebooks; I like the ones that you can fit in your pocket but are big enough to take notes in at your desk. If your guy has a hard time remembering to-do lists or has great ideas but never a napkin handy to write them down on, then pick him up a couple of Moleskines. They’re fun, hip gifts for under $20. Headphones might not seem like much of a gift, but they are to the guy who likes to hear every drum beat and guitar strum of their favorite bands. These are pretty cool headphones and they’re under $30! If your guy is an outdoorsman or enjoys tinkering, then he definitely needs a Leatherman multitool. This is essential for him to have in his pocket whenever he doesn’t have his full set of tools handy. On Amazon, the multitool goes for just $62! I know that some of you have some other great ideas for that hard-to-shop-for guy in your life. What gifts have you given or received in the past that were thoughtful but not expensive?